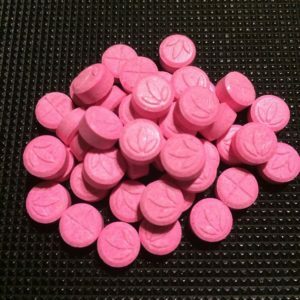 MDMA is a stimulant with strong entactogen effects. Unlike regular stimulants, a key aspect of entactogens is their impact on emotions and their ability to enhance “inner awareness,” which gives them a wide array of applications. It’s the most popular entactogen by far. MDMA has shown promise in psychotherapy, particularly in the treatment of PTSD, though it’s most often used in recreational settings. The substance is heavily associated with music events, but it’s also taken at house parties, in small social gatherings, and with friends or partners. Since the MDMA market is affected by adulterants, drug checking is vital. When used in tablet form, the average dose is 1-4 tablets over the course of a use session. The average tablet contains 75 to 150 mg, but they can contain over 200-300 mg. You should stick with .5-1 tablets as your initial dose. Redosing is discouraged, though it’s a very common practice since it may be able to extend the effect period. The safest way to redose is to take 50% of your original dose around 2 – 2.5 hours after your first dose. People sometimes report the onset is 90-120 minutes. This isn’t nearly as common, but sometimes the onset is delayed. The core effects of MDMA differ from stimulants and hallucinogens because it acts on the emotional sphere and doesn’t heavily affect other cognitive processes or perception. Not only do people feel happier, they may feel at ease in the world and pleased with anyone they’re surrounded by. MDMA can also make people happier with themselves. It tends to break down inhibitions that’d typically stand in the way of communication, acceptance, and appreciation. The happy, carefree, sociable, and even relaxed mental state offered by the drug is considered very enjoyable in most cases. Although tiredness is reduced, a lot of people find it’s less clearly stimulating than amphetamine or methamphetamine. In fact, a lot of people feel relaxed and calm on the drug. If you’re in a calm setting, you probably won’t feel like you have to move around a lot. No true hallucinations are produced by the drug and it doesn’t even offer psychedelic-like perceptual effects. It can lead to slight visual changes, such as brightness changes, color alterations, seeing things as farther/closer away, and simple visual distortions. Your vision may be a little blurry or have a “soft” overlay. Often there’s an enhancement and shift in the meaning or significance of the things you perceive. Increased/enhanced tactile perception is common, as is music enhancement. The reasons for use can vary quite a bit and the setting typically changes as a result. The settings include festivals, clubs, house parties, social gatherings, small groups of friends, with partners, and therapy/personal development. 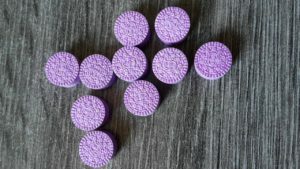 Even though the average MDMA experience is positive, there can be some negatives that either take up the entire effect period or a portion of it. Two of the primary negatives are anxiety and occasionally panic. Those feelings are most common during the onset and come-up, but they could persist throughout the experience. More often the drug is anxiolytic rather than anxiety-causing. Some of the anxiety people report may come from concerns or hesitations about losing control. Racing thoughts are another contributing factor. When people experience anxiety or panic, they may end up with dysphoria instead of euphoria. It’s also possible for someone to be too disinhibited, which could lead to unwise statements or actions in social settings. Typically, however, people refrain from doing things that are truly unwise. MDMA leads to a rise in systolic and diastolic blood pressure, elevated heart rate, increased myocardial oxygen consumption, increased temperature, and pupil dilation. Often people will encounter bruxism (excessive jaw clenching or teeth grinding), so chewing gum is common. The cardiovascular effects usually peak around 1-2 hours and are gone within 6 hours. Mean dose across studies: 120, 113, and 102 mg. Corresponding to 1.7 mg/kg, 1.64 mg/kg, and 1.5 mg/kg. More thought disturbances, with greater impairment of decision making, accelerated thinking, and losing track of one’s thoughts. Fear of loss of body control. Higher doses in the 1.35-1.8 mg/kg range led to more hallucinogen-like perceptual changes. Attributable to feelings of helplessness, defenselessness, and an increased need for protection. Jaw clenching, increased tension in maxillary muscles, dry mouth, loss of appetite. Activated more by the drug, reporting greater activeness and energy. Greater HR in both, but only statistically significant in men. Peripheral body temperature only reached significance in men. Males had a higher lifetime use of MDMA. (Pardo-Lozano, 2012) – Investigating the role of gender and genetics. Women had higher values than men in heart rate and oral temperature (AUC and Emax). The val/val allele carriers had higher SBP and DBP compared to met/* (AUC and Emax). The l/* allele carriers had higher SBP (AUC and Emax), DBP (AUC and Emax), and HR (AUC, with a trend towards significance in Emax). Women had higher scores in dizziness, depression/sadness, and sedation scores. The met/* carriers had higher dizziness. The s/s carriers had higher sedation values, but only for AUC0-4. Women and men receiving 1.4 mg/kg had similar plasma concentrations of MDMA and their metabolites. There are marked gender differences in the effects of MDMA. Females experience higher cardiovascular effects and more dizziness, depression/sadness, and sedation. The differences didn’t come from different levels of MDMA or MDA. During the initial comedown period, some users have an afterglow feeling while others feel depleted/exhausted and prone to anxiety. This is likely influenced by environment and dose. In the days following MDMA use, a portion of users experience 1-3 days of negatives like depressed mood, insomnia, anhedonia, irritability, decreased alertness, fatigue, decreased appetite, muscle aches, and jaw tension. Usually those negative after effects are absent or minor with common doses in low-activity settings. In fact, some people actually feel an afterglow for a couple days after taking the drug. Excluded those with smoking, a lifetime history using illicit drug over 5 times (exception of cannabis use), use of non-cannabis illicit drugs in past 2 months. 22/32 had never used MDMA and 10/32 had less than five experiences with MDMA. Significant effect on AMRS scores of: activity, inactivity, extroversion, introversion, well-being, emotional excitation, and dreaminess. No significant effect on anxiety. Significantly raised explicit and implicit emotional empathy ratings. For both kinds, the MDMA-induced increase was significant for positive valence stimuli, but not for negative valence stimuli. Post hoc analysis found it only increased explicit and implicit emotional empathy ratings in men. MDMA raised the empathy ratings in men to the levels of empathy in women after placebo administration. Post hoc analysis found it significant increased prosocial behavior in men, not women. It led to levels of prosocial behavior that were comparable to the level in placebo-treated women. Women performed much worse after MDMA treatment, while men didn’t. 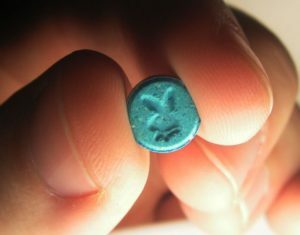 MDMA significantly impaired the correct recognition of fearful, angry, disgusted, and surprised faces. It didn’t alter the correct identification of happy faces. Significant impairments in the accuracy for fearful, angry, and sad faces were only found in women. Fear recognition accuracy in women was inversely correlated with the Cmax. Increased the detection threshold for fearful faces. No correlation was found between neuroendocrine and entactogenic or prosocial effects. This is from relative doses of 1.68 mg/kg for men and 2.09 mg/kg for women. 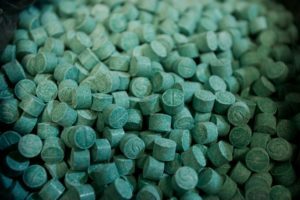 MDMA has primarily been studied for its ability to enhance therapy sessions, especially in the context of treating PTSD. Some of the relevant mechanisms may be increased oxytocin, increased serotonin, and increased norepinephrine. The available data indicates the drug is useful as an adjunct to psychotherapy. It appears to improve the therapeutic alliance and help patients remain engaged with emotional material in an optimal way (not underengaged, but also not hyper-activated). 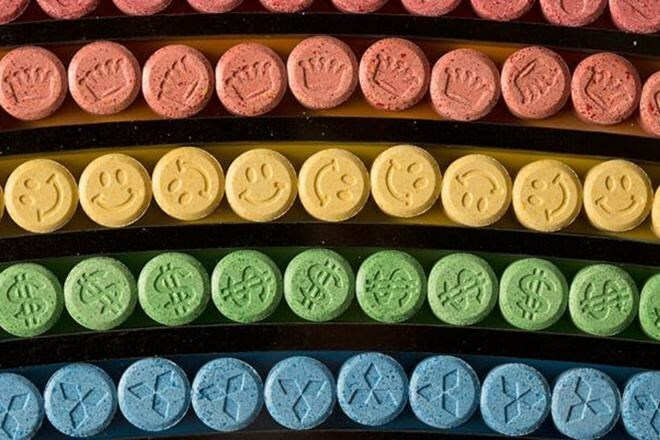 Therapists have noticed the potential benefits of MDMA since the 1970s. For decades, basically all of the efficacy information was anecdotal, which is no longer the case. MDMA is a substituted phenethylamine and amphetamine. It has structural similarities to amphetamine, methamphetamine, and mescaline. Compared to methamphetamine, MDMA’s methylenedioxy moiety offers increased serotonin release and lower dopamine release. It is sold as a racemic mixture of S- and R-MDMA. S-MDMA is more potent as a monoamine release. The core effects of the drug can be tied back to monoamine release, particularly of serotonin, but also of norepinephrine and dopamine. Those monoamines activate presynaptic and postsynaptic receptors. In the case of dopamine, much of the release may be coming indirectly from serotonergic activity. It also inhibits the reuptake of serotonin. MDMA increases the active concentrations of serotonin in a transporter-mediated way (reversal of transporter function). It appears to have an action at VMAT2, which leads to more serotonin in the cytosol, thereby contributing to higher serotonin concentrations. This means it increases serotonin via reversal of SERT function as well as through an impact on vesicular storage via VMAT2. A rise in serotonin is the key source of the drug’s effects, though norepinephrine may contribute to the cardiostimulant and psychostimulant effects. Most global brain effects likely come indirectly from serotonin release. For example, MDMA may cause acetylcholine release and changes in the GABAergic system via serotonin activating 5-HT4 receptors. There’s a relatively high affinity for 5-HT2 receptors, with some apparent agonist properties at 5-HT2C, 5-HT2A, and 5-HT2B. However, the direct receptor binding-mediated effects are likely much lower than the effects arising from serotonin release. Only low affinity for D1 and D2 dopamine receptors is seen. Under 50% binding is present at 0.5 mM (Battaglia, 1988). Some affinity exists for adrenergic receptors, primarily at a2-adrenergic rather than a1- or b-adrenergic receptors. In vitro results from (Hondenrink, 2011) suggest there could be inhibition of a1b2y2 GABAa receptors, leading to less inhibitory input on serotonergic and dopaminergic neurons. Peak rise in serotonin was 10-fold, peak rise in dopamine was 2-fold. It causes a rise in cortisol, oxytocin, prolactin, ACTH, and possibly vasopressin. MDMA has been found to activate the paraventricular nucleus (PVN) and supraoptic nucleus (SON) of the hypothalamus, which is where the cell bodies of the brain’s oxytocinergic neurons are located. The magnitude of SON activation appears to be greater with a high ambient temperature in animals. Elevations of oxytocin in peripheral blood is present, which indicates higher brain levels. This action appears to occur through a serotonergic mechanism, specifically at 5-HT1A. Increased oxytocin may partly account for the social and empathy effects. 800% higher saliva cortisol levels 4 hours after MDMA at a house party compared to baseline values at. 800% higher saliva cortisol levels 2.5 hours after MDMA compared to baseline value. Partly missing data from 2 people due to mild psychological discomfort (mild anxiety resolving within 60 min) after MDMA administration. 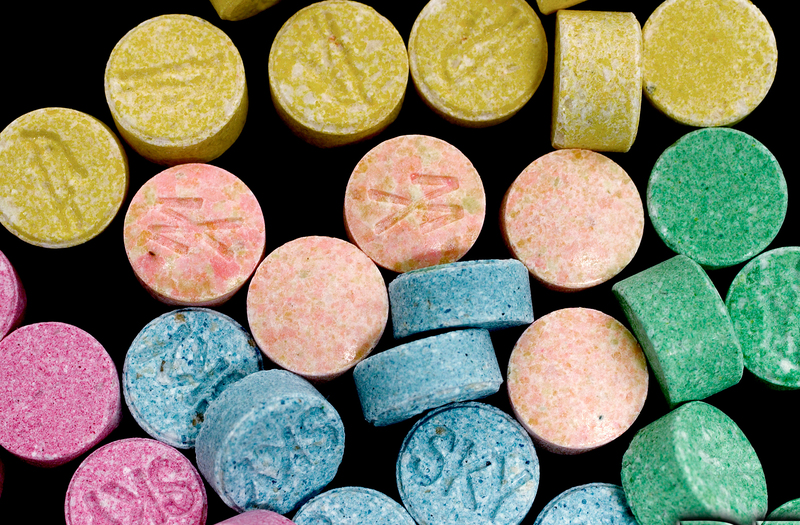 Subjective amicability and subjective gregariousness showed a significant rise under MDMA. Both had a significant positive correlation with oxytocin. Subjective amicability was significantly correlated with MDMA, but gregariousness wasn’t. Oxytocin may be involved in prosocial activity from MDMA based on the rise in both and their correlation. Oxytocin may therefore be prosocial based on reducing anxiety surrounding social interaction. All active conditions led to rises in blood pressure and heart rate. Although the differences among the actives weren’t significant. Temperature increased slightly in actives, but no significant difference vs. placebo. The peak after MDMA was at 2 hours, while the peak was at 1 hour with amphetamine. No significant impact of any drug condition. Based on AUC comparisons, MDA was a minor metabolite representing 8-9% of the MDMA concentrations. Maximal boost in euphoria and well being scores from MDMA 125 mg.
Only MDMA led to mild visual/auditory perception changes, but no hallucinations from any condition. MDMA at 5 mg/kg significantly increased the duration of social interaction in pairs of rats meeting for the first time; it also led to higher anxiety-related behavior in the emergence test. Pretreatment with various serotonin antagonists failed to block anxiogenic activity. Pretreatment with the 5-HT1A antagonist WAY 100635 or the 5-HT2B/2C antagonist SB 206553 blocked MDMA-induced increase in social behavior. Anxiety from MDMA appears unrelated to 5-HT1A, 5-HT1B, 5-HT2A, 5-HT2B, or 5-HT2C. Pro-social action may involve 5-HT1A and possibly 5-HT2A/2B. Serotonin syndrome is connected to 5-HT1A agonism. SSRIs have been found to block most of the psychological and some of the physiological effects in humans. Citalopram infused over a 90 min period, followed by oral use of MDMA or placebo. Psychometric measurements were performed at 120 min post-MDMA/placebo. Citalopram pretreatment markedly reduced overall effects, though it prolonged the duration to 5 hours. Citalopram pretreatment markedly reduced scores on: positive mood, mania-like experience, derealization, depersonalization, alterations of the sense of time, thought disorder, loss of thought control, loss of body control, changed meaning of percepts, and facilitated imagination. It also significantly reduced self-confidence and extroversion scores comparable of citalopram alone. MDMA’s rise in emotional excitability and sensitivity were not blocked by citalopram at all. Each subject participants in two 3-day sessions, with a washout of at least 15 days. Either 20 mg per day of paroxetine on days 1, 2, and 3 or placebo. 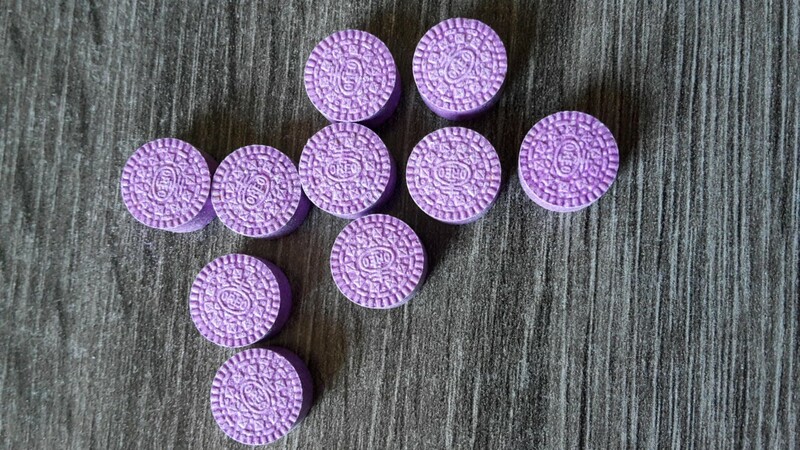 MDMA 100 mg on Day 3. Paroxetine given 3 hours before MDMA on Day 3. Paroxetine significantly reduced many of the effects. It significantly decreased SBP, DBP, and heart rate. Paroxetine reduced the slight deterioration of performance from MDMA, but no significant difference except for Emax in reaction time errors and a few time points in DSST correct responses and Pauli test. Paroxetine significantly decreased many of the subjective effects. Significant drop in ARCI and VESSPA scales. While HMMA was 39% (AUC) and 49% (Cmax) lower. Despite paroxetine’s CYP2D6 inhibition leading to a significant rise in plasma concentration for MDMA, the effects of MDMA were significantly attenuated. (Liechti, 2000) – Only reduced MDMA-induced positive mood. This could be from D2 receptors playing a role in the amphetamine-like action of MDMA. Results are tentative given haloperidol may lead to a somewhat dysphoric mood on its own. (Hysek, 2014) – Showed methylphenidate didn’t alter the subjective effects of MDMA in humans, which is consistent with dopamine playing a minor role. In humans, ketanserin given 2 hours pre-MDMA reduced the effects on body temperature and diastolic blood pressure. This might be explained by ketanserin’s a1-adrenergic antagonism. It also significantly reduced sensory and perceptual effects, while not affecting other aspects of the drug’s activity. (Nash, 1998) – Might block hyperthermia in rats. Bupropion is known to inhibit the amphetamine and methamphetamine-induced release of dopamine in vitro. The role of DA in MDMA isn’t clear, while we know more about the role of serotonin and norepinephrine. Because it largely lacks recreational effects of its own, bupropion may be more useful for preadministration than methylphenidate. 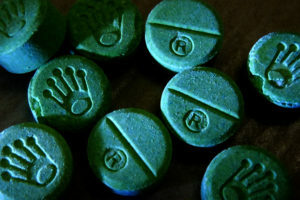 Bupropion is thought to bind to the substrate recognition site on DAT, similarly to MDMA, while methylphenidate and cocaine might interact elsewhere. CYP2D6 phenotyping showed 13 extensive, 3 intermediate, and 0 poor metabolizers. Bupropion or placebo given daily for 7 days. Bupropion (300 mg oral) given on test day two hours pre-MDMA (125 mg oral). Bupropion significantly reduced the MDMA-induced heart rate increase, but it failed to significantly affect BP or temperature. It didn’t reduce the mydriatic effect. Lack of impact on plasma prolactin, cortisol, oxytocin, or epinephrine. Bupropion significantly reduced the MDMA-induced rise in plasma norepinephrine. No treatment altered plasma dopamine. Bupropion failed to alter the acute of subacute adverse effects, such as lack of appetite, perspiration, tremor, restlessness, dry mouth, or bruxism. MDMA increased VAS vatings for any drug effect, good drug effect, drug high, drug liking, and stimulated. Bupropion enhanced the positive mood effects of MDMA, as seen with a prolonged action. Bupropion pretreatment significantly increased the Cmax and AUC of MDMA and prolonged its half-life. Bupropion pretreatment significantly decreased the plasma concentrations of MDA and prolonged the half-life and Tmax of HMMA. 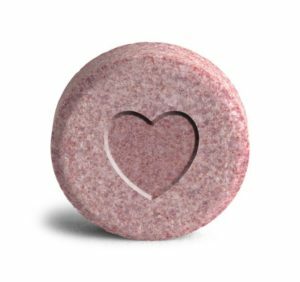 Bupropion could reduce the heart rate increase from MDMA and prolong its subjective effects. Bupropion reduced circulating norepinephrine and the cardiostimulant effects of MDMA. Findings indicate norepinephrine mediates the cardiostimulant effects of MDMA. Blocking the DAT with bupropion failed to reduce the positive mood effects of MDMA, indicating dopamine isn’t a critical mediator of subjective MDMA effects. This has also been shown in terms of effect enhancement with cocaine. A partial pharmacokinetic contribution may exist, but it doesn’t seem to fully be responsible. The primarily metabolic route of MDMA is demethylenation to HHMA. MDA is only a minor metabolite, with plasma concentrations usually under 5-10% of MDMA’s in humans. COMT is important as it’s responsible for HHA -> HMA and HHMA -> HMMA. HHA and HHMA are both sources of problematic metabolites. Looking at the role of CYP2C19, CYP2B6, and CYP1A2 in MDMA’s conversion to MDA. CYP1A2 was investigated based on it being inducible by tobacco use in rs762551 A/A vs. the C/A and C/C genotypes. Therefore, MDA formation was examined in tobacco smokers with A/A vs. others. MDMA plasma levels increased faster in the two CYP2C19 poor metabolizers, but it was a nonsignificant effect. CYP2C19 genotype significantly influenced AUC (0-6 h) of MDA and the MDMA/MDA ration, but not HMMA levels. The genotypes had no impact on body temperature or subjective effects. CYP2B6 genotype significantly affected MDMA Cmax, with a higher concentration in T/T vs. G/G genotype. Significant effect on MDMA/MDA AUC (0-6 h) ration, with higher ratio in T/T vs. G/T or G/G. No significant effects on plasma levels of MDA or HMMA. No significant effect o autonomic or subjective effects. Smoking status interaction with 1A2 genotype (inducible A/A vs. non-inducible A/C and C/C) on MDA Cmax and AUC6 levels. Higher MDA levels in the inducible vs. non-inducible genotypes and compared to nonsmokers. No effect on autonomic or subjective effects. After dose normalization, the subjective and cardiovascular effects didn’t differ betwen dose groups. Though, dose-normalized Cmax values of MDMA were near-significantly greater at 125 mg than 75 mg, indicating a trend towards nonlinear kinetics by that dose. Subjects with CYP2C19 poor metabolizer genotype had a more rapid and greater cardiovascular response to MDMA, though only two CYP2C19 PM individuals were studied. Unlike CYP2C19 genotype, the CYP2B6 genotype influenced MDMA concentration later in time (3-4 hours after administration), possibly meaning that CYP2B6 becomes more important when CYP2D6 function decreases over time from auto-inhibition by MDMA. Showed role of CYP2C19 and CYP2B6 on MDMA to MDA conversion humans, which validates in vitro studies. MDMA/MDA AUC6 ratio was greater in low CYP2C19 and low CYP2B6 participants, indicating role for both in the N-demethylation of MDMA to MDA. Greater cardiovascular effects from subjects with slower MDMA to MDA conversion suggests MDMA contributes more to the cardiovascular effects of the drug than MDA. MDMA interacts with CYP2D6 as a substrate and inhibitor. The inhibition is believed to come from an interaction between the enzyme and an MDMA metabolite. The inhibition leads to non-linear pharmacokinetics. With repeated doses in humans, there’s a 30% AUC (0-24 hour) increase with a dose of MDMA given 24 hours after the first. That 30% figure also appeared in (Segura, 2005), which found paroxetine preadministration led to a 30% AUC increase. Because of the non-linear kinetics, there can be an accumulation of MDMA that could lead to higher acute toxicity. Those with a preexisting CYP2D6 poor metabolizer phenotype could be more vulnerable. Largest difference was for HMMA, which had just 12% of the AUC. In 1/1 subjects, the Tmax for HHMA preceded that of MDMA, but that wasn’t found in the 4/4 subject. There was a lack of prolactin response after both doses. Temperature increased slightly in all subjects, but the rise was greater in the 4/4 subject vs. 1/1. After the second dose, the differences were no longer apparent, suggesting there was a phenocopying effect from the first dose’s CYP2D6 inhibition. It’s possible 2D6 inhibition could make 3A4 more important due to metabolic compensation. Showing changes in humans with caffeine as the probe drug. 21 participants, all of whom were 2D6 extensive metabolizers. Modest but significant rise in CYP1A2 activity post-MDMA, with it being more significant in females. Perhaps there’s a compensatory mechanism after 2D6 inhibition that leads to 1A2 upregulation, at least acutely, and potentially followed by inhibition of 1A2 at a later time point. A related drug, MDA, was synthesized in 1910 and it was used in a notable way in humans before MDMA. MDMA was synthesized in 1912 at Merck. It was made by a German chemist, Anton Kollisch. While there were rumors about it being created as an anorectic or psychotherapy aid, it was actually made as a precursor to methylhydrastinin. Merck wanted to find pathways leading to antihemorrhagic (hemostatic) substances. It was trying to evade a patent from Bayer, a competitor, for a drug called “hydrastinin.” This goal was explicitly stated by Merck’s laboratory head Dr. Walter Beckh in the company’s 1912 annual report. Beckh and a coworker, Dr. Otto Wolfes, felt the methylated analog of hydrastinin could be similarly effective. They requested a third lab member, Dr. Anton Kollisch, develop syntheses for methylhydrastinin as well as new patentable syntheses for hydrastinin. Patent 274350 was assigned “to the company E. Merck in Darmstadt” by the German Imperial Patent Office in Berlin. The application for that patent was filed on December 24, 1912 and made available on May 16, 1914. Patent 274350 described multiple chemical reactions, one of which included MDMA. MDMA was mentioned without a name and listed as little more than a chemical intermediate. 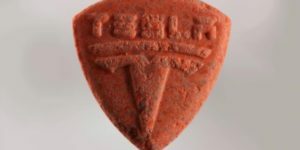 There was no clear interest in using MDMA as anything more than an intermediate. 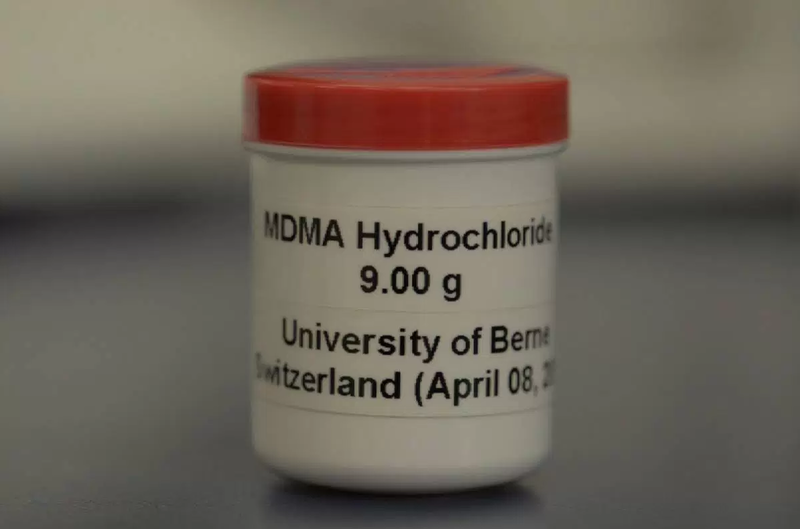 While methylhydrastinin was tested at a Berlin hospital, MDMA wasn’t. This was the first time in 15 years that Merck again returned to mentioning MDMA. A lab at the company was interested in epinephrine and ephedrine-like substances that’d be based on safrole. 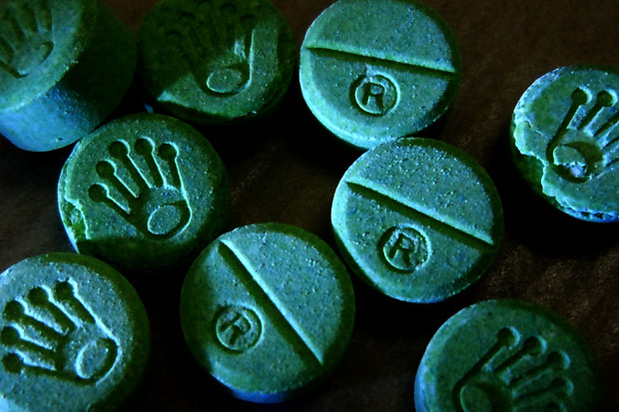 Dr. Max Oberlin, a Merck chemist, noted MDMA’s structural similarity to ephedrine and epinephrine. He had probably rediscovered patent 274350, which mentioned safrole as a starting material. He ended up comparing MDMA (under the name “safryl-methyl-amin”) and two analogs (eugenyl-methyl-amin and methyl-eugenyl-methyl-amin) to ephedrine, according to the Annual Report for 1927. Those investigations by Oberlin involved the first pharmacological tests with MDMA. The tests used MDMA.HCL. It also had the highest toxicity of the investigated materials. The next post-Oberlin records regarding the drug were from Dr. Albert van Schoor, a chemist. Schoor conducted simple toxicological experiments that were only documented briefly in his personal lab book. A confidential substance data card from Merck referred to MDMA as “1-(2-methylaminpropyl)-3,4-methylendioxybenzol” and some chemical properties were given. The first formal animal study was conducted in 1953/1954. 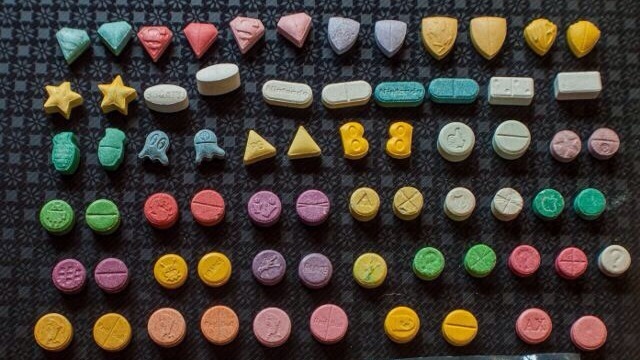 MDMA was tested alongside some other psychoactive drugs. The US Army’s Chemical Center sponsored the research and it was carried out at the University of Michigan. Guinea pigs, monkeys, mice, rats, and dogs were given the drug as part of toxicological assays. There was no reference to human experimentation at this time. MDMA was found to be less toxic than MDA, but more toxic than mescaline. This was work was unpublished until 1973. It may have been examined with the possibility of moving into development as a chemical incapacitant or interrogation aide. Dr. Wolfgang Fruhstorfer, a Merck chemist, worked with MDMA and similar substances according to another “confidential” substance data card. Fruhstorfer was interested in the production of new stimulants. There were some insinuations of him working with an institute for aviation medicine, but no documents clearly stated it was tested in humans. A regular scientific paper in Polish described the synthesis of MDMA. The use of MDMA in the street market may have begun around this time. A detection was reported in Chicago around 1970 and the Bureau of Narcotics and Dangerous Drugs picked up on its presence. It wasn’t until the late 1970s that scientific publications about its pharmacology began to appear. A major individual in the history of MDMA is Alexander Shulgin. Even though he definitely wasn’t the first person to work with it or use it, he did help to popularize the drug. Shulgin synthesized MDA in May 1961, probably after Alles described its effects in humans in 1959. He also tried it in May 1961 at a small inactive dose of 4.5 mg and at an inactive dose of 15-35 mg in August 1965 without effect. He synthesized MMDA in 1962 and published about its psychoactive effects in 1964. His lab books support the existence of trials with MMDA in 1962 and in 1965 as part of an exploration of MDA-like drugs. Shulgin initiated tests on the psychotherapeutic potential of MDA and MMDA with Claudio Naranjo (Chile). The results were favorable, with publications about MDA in 1967 and MMDA in 1973. According to Shulgin, he first synthesized MDMA in 1965. In fact I had synthesized it back at Dole in 1965. He didn’t try it and basically nothing was done with it until the 1970s. Shulgin sent a letter to a chemist who had formed a chemical company in Los Angeles. The chemist asked for instructions on how to prepare N-methylated MDA (MDMA). That information was then also given to “clients” of the chemist in the Midwest. Although it’s only speculation, this could have been the way MDMA ended up on the street in the Midwest in the early 1970s. Before he personally tried the drug, Shulgin encountered multiple people who had used it. Some emphasized its stimulant effects, others emphasized its emotional/entactogen effects. “Merrie Kleinman” (~ mid 1976) – Female student of “Noel Chestnut,” a professor of chemistry. Shulgin was filling it for Chestnut for a short time at a school in San Francisco. Kleinman’s experience with the drug was mentioned in PiHKAL. One of these was a dear, dear sprite appropriately named Merrie Kleinman, who told me that she had done an experiment with two close friends of hers, and that they had used 100 milligrams of N-methylated MDA (MDMA). She shared very little about her experience, but implied that it was quite emotional, and that there had been a basically good reaction from all three of them. “Flip” – Colleague from the University of San Francisco who had synthesized and taken MDMA. Tried 15, 30, 45, 60, 75, 100, and 150 mg.
Shulgin took the drug himself beginning in 1976. His dose escalation test began in September. 00:35 “first awareness–smooth–very nice–I will be attentive to sensory changes (there are none)–looking forward with interest. I can an do quickly accommodate to this ASC. 00:45 “Still developing–but I can easily assimilate it as it comes. Under excellent control. He introduced the drug to a retired psychologist named Leo Zeff (pseudonym Adam Fisher) in Oakland, CA. Zeff was impressed by the effects of MDMA to such a degree that he abandoned retirement and introduced the drug to many psychotherapists around the US. Initially the drug spread among therapists in northern California, but it didn’t take long for it to reach both coasts of the US. According to a 1990 paper from Shulgin, it was introduced into clinical practice (no names given in the paper) on the West Coast in the latter part of 1976 and it was used on the East Coast a few months later. Shulgin, along with David Nichols, published a paper about MDMA’s effect in humans. They noted, based on a paper from Gaston as well as personal communication with C. Helisten from the PharmChem Foundation in Palo Alto, CA, that MDMA made an occasional appearance on the illicit street market in 1970. Qualitatively, the drug appears to evoke an easily controlled altered state of consciousness with emotional and sensual overtones. It can be compared in its effects to marijuana, to psilocybin devoid of the hallucinatory component, or to low levels of MDA. This paper stemmed from a presentation Shulgin gave in December 1976 during a conference called “The Psychopharmacology of Hallucinogens” in Bethesda, MD. Investigations by university and industry-based chemists were triggered by the 1978 publication. Tests found it was less “harsh” than MDA and had some preferable qualities over both MDA and traditional psychedelics. It was found the drug could increase acceptance of the self and others, increase tolerance to emotionally difficult material, and help people address issues without significant disorientation or ego loss. Formal controlled studies weren’t conducted at this time, but it was potentially given to thousands of people, with over 100,000 doses allegedly administered in therapeutic settings. Leo Zeff alone may have introduced 4,000 people to the therapeutic use of MDMA. MDMA was utilized in the treatment of various psychological disorders, including psychosis, anxiety, PTSD, and depression. It was also taken for couples therapy and group therapy. Even in these early years, it was recognized to be a particularly good treatment for people with disorders originating from trauma like war and childhood abuse. Some early uncontrolled data from George Greer found people could receive psychological benefits from MDMA during and after a session. One of the first promotional mentions of MDMA was in an underground magazine called “Wet.” The name “ecstasy” was used, though it’s not clear where that name originated. Rick Doblin learned about MDMA’s use as an adjunct to psychotherapy. Doblin started the Earth Metabolic Design Lab (EMDL) to coordinate a response to the DEA’s attempt to prohibit MDMA. The EMDL aimed to introduce people in psychiatry, religion, and public policy to the drug, with the hope that some would testify against prohibition attempts. Other individuals involved in the project were Debby Harlow and Alise Agar. When it was clear the government was going to push forward with Schedule 1 status despite the EMDL’s efforts, Doblin formed the Multidisciplinary Association for Psychedelic Studies (MAPS). MAPS would work through the government’s own approval process to make drugs like MDMA available in certain settings. Preclinical animal toxicity studies were transferred from the EMDL to MAPS, which were used to open a Drug Master File (DMF). To move forward, MAPS would need access to pure MDMA. Doblin knew David Nichols and was able to get a kilogram of the drug from him. He funded that purchase at a cost of $4,000 ($4 per gram). The Nichols-sourced supply has been used by MAPS throughout its research. After opening the DMF, five applications to study MDMA in humans were submitted to the FDA. All were rejected. The FDA’s decision was based on concerns about the hypothetical functional consequences of possible neurotoxicity. MAPS began funding animal toxicity studies to gain a better understanding of the drug. 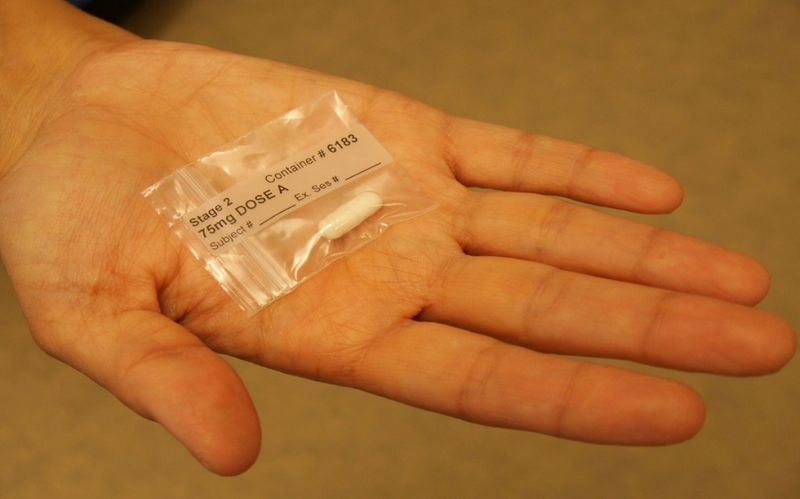 The investigational new drug (IND) for MDMA was filed with the FDA. The FDA reviewed a protocol from Charles Grob for a study that’d use MDMA in the treatment of pain, anxiety, and depression in cancer patients. The FDA’s Drug Abuse Advisory Committee decided the cancer patient study should be postponed and that a Phase 1 dose-response safety study should take place first. Human research was allowed to begin after the FDA accepted the Drug Abuse Advisory Committee’s recommendation. Using a redesigned protocol, the first double-blind placebo-controlled Phase 1 study began. It was found MDMA could lead to a transient and generally tolerable rise in heart rate and body temperature in healthy volunteers. Charles Grob published the results in 1996. Based on these results, MAPS continued pursuing approval for clinical studies. Charles Grob submitted a protocol for a study in cancer patients. Negotiations with the FDA moved slowly, but eventually opposition to the research lessened. A teleconference with the FDA regarding MDMA psychotherapy research to treat anxiety, depression, and pain in cancer patients went well. The FDA indicated a willingness to approve this kind of study, though Grob eventually opted to work on psilocybin rather than MDMA. Doblin met Michael Mithoefer at an ayahuasca conference in San Francisco and they discussed conducting MDMA psychotherapy research in the US. MAPS launched an international Phase 2 Clinical Development Program to gain FDA approval for the use of MDMA-assisted psychotherapy in those with chronic and moderate to severe PTSD. Research into the use of MDMA for psychotherapy finally began, though it was taking place in Spain rather than the US. The first MAPS-sponsored clinical study involved female survivors of sexual assault. The first subject was treated in Madrid on November 9, 2000. By May 13, 2002, the study was halted due to political pressure from the Madrid Anti-Drug Authority. Only partial treatment data was available as a result. MAPS received approval from the FDA for an MDMA-assisted psychotherapy protocol on November 2, 2001. The study would involve people with chronic, treatment-resistant PTSD. This research would be led by Michael Mithoefer. It’d take another couple years for approval to come from the DEA and an IRB. MAPS began working with John Halpern at McLean Hospital, Harvard Medical School on a design for a study that’d give MDMA-assisted psychotherapy to end-stage cancer patients. Halpern submitted a protocol for a study in 12 patients who’d have anxiety secondary to advanced stage cancer. One subject was ultimately treated successfully as part of the research, but the study was closed due to enrollment challenges. Michael Mithoefer and his wife, Annie Mithoefer, began conducting the first FDA-approved Phase 2 study of MDMA for chronic, treatment-resistant PTSD. The study was carried out in Charleston, South Carolina. It mainly involved female survivors of sexual assault or childhood sexual abuse. The results indicated MDMA-assisted psychotherapy was much superior to non-drug therapy. A second Phase 2 study was conducted in Switzerland by Peter Oehen with 12 patients. Although the results appeared to be clinically significant, they weren’t statistically significant. Some changes to the research were approved by the FDA and IRB, allowing the number of sessions to increase from 2 to 3. Permission was also given to administer a supplemental (half the initial) dose to prolong the effects. Permission was given to let placebo subjects enroll in the study again to receive MDMA in an open-label manner. MAPS had invested $1.5 million in its research and 25 years of effort by the early 2010s. It was able to show with two studies that MDMA-assisted psychotherapy was a useful treatment option for PTSD. Another study from the Mithoefer team began, this time focusing on veterans. There were 24 participants. Approval to begin the study was received quickly. MAPS completed an ITT analysis of primary efficacy and safety data from multiple Phase 2 clinical trials in the US, Switzerland, Israel, and Canada. Based on that data, which involved 105 participants, MDMA was superior to placebo and 75 – 125 mg was superior to low doses. Michael Mithoefer and Candice Monson began a pilot study of MDMA-assisted Cognitive Behavioral Conjoint Therapy in couples. This study involves one member of a couple who has chronic PTSD and a significant other without PTSD. Both individuals are experiencing relationship strain due to the PTSD symptoms. MAPS is targeting the legalization of MDMA-assisted psychotherapy by the early 2020s, specifically 2021. MDMA expanded beyond the therapeutic community and it was quite popular in some areas by 1983, such as in Dallas and Austin, Texas. The DEA claimed 30,000 doses were being sold each month just to one local dealer. In the early days of its recreational use, there seemed to be fewer problems with excessive dosing (heavy redosing or large doses). There also wasn’t an issue with adulterants. Various popular magazines, including Time, Newsweek, and Life covered MDMA. This brought the drug to the attention of many additional people. The DEA filed its intent to prohibit MDMA on July 27, 1984. This opened up a 30 day comment period, giving the Earth Metabolic Design Lab (formed by Rick Doblin and affiliated with others) time to respond. In early August 1984, Doblin went to the DEA headquarters in Washington DC to file papers requesting a DEA administrative law judge (ALJ) hearing on the matter. An entry in December 1984 confirmed hearings would take place. They were eventually held in 1985 and presided over by judge Francis Young. 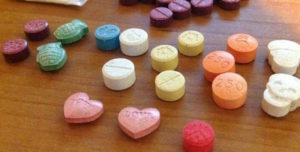 Arguments against its prohibition came from the EMDL and others, with claims that MDMA was distinct from other illicit drugs. The pro-prohibition arguments focused on its abuse potential and alleged safety issues. [Street use] escalated from an estimated 10,000 doses distribution in all of 1976 to 30,000 doses distributed per month in 1985. While these proceedings were taking place, the DEA announced in May 1985 that it would emergency schedule MDMA. It became a Schedule 1 drug under this order on July 1, 1985. Judge Francis Young decided in 1986 that MDMA should actually be a Schedule 3 drug. This was based on a low apparent abuse potential, possible medical uses, and a higher safety level. The DEA administrator decided to ignore the recommendation and pursued Schedule 1 status instead. The EMDL responded by suing the DEA. The EMDL won, forcing the DEA to come up with a better argument for Schedule 1 status. Eventually, the DEA received a favorable Appeals Court decision, enabling MDMA to be classified as a Schedule 1 drug. 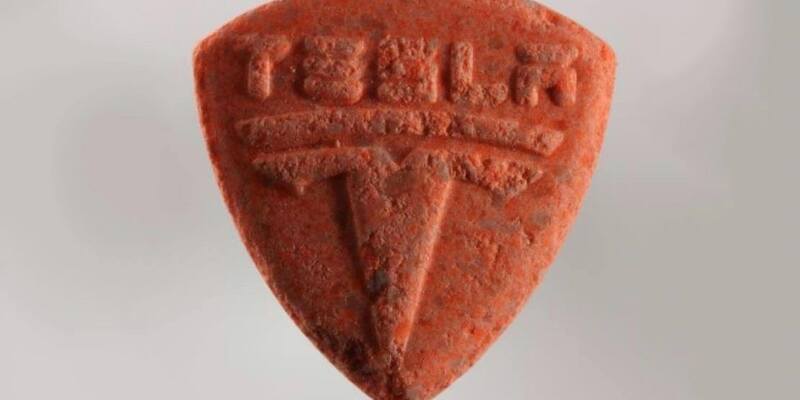 Around the time it was being prohibited, MDMA’s alleged safety issue received a lot of attention. 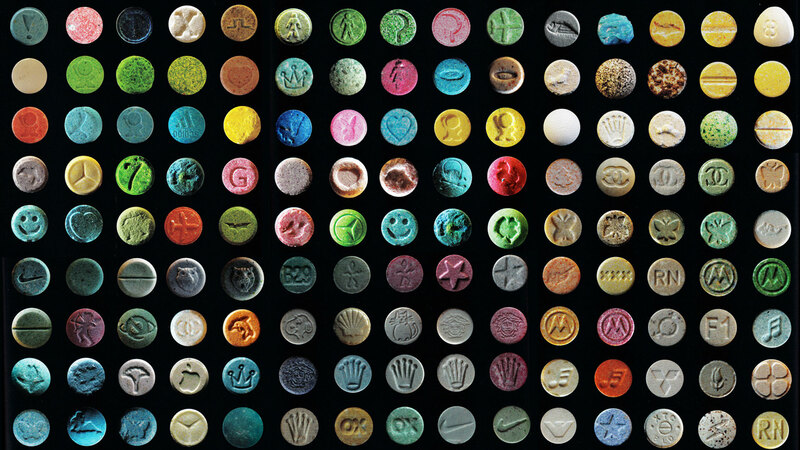 Repeated use of designer drugs such as Ecstasy produces potentially irreversible brain damage. It can poison the nervous system probably irreversibly. It may very well be that a young, healthy adult who is exposed to these drugs is not going to show frank symptoms that are going to be picked up by a clinician. But what we don’t know is whether 20 or 30 years from now , at the age of 45 , they may begin to be showing central nervous system degenerative signs that ordinarily would not be seen until they get to be 70 or 80. 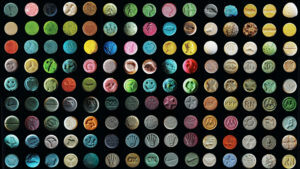 (Cole, 2002) – Analysis of ecstasy batches in the UK. (Millen, 1996) – Comprehensive survey of drug use by British students. It involved 7722 people aged 15 and 16. There was an MDMA use rate of 8%. Based on a study of high school seniors in Texas, 9% of seniors had used MDMA at least once. Emergency room visits associated with alleged MDMA use increased, often from adulterated drugs and high water consumption. In the US, they went from 2,850 in 1999 to 5,542 in 2001. There was alarm among the media and government about MDMA and it was most prominent beginning December 1999. The National Institute on Drug Abuse (NIDA) launched a campaign to inform people about the dangers of ecstasy. Their $54 million club drugs initiative dedicated money to research, preventative education, and community alert bulletins. NIDA called the increase in MDMA use an “epidemic” in 2000. A paper from EcstasyData reported on the contents of 107 tablets. 63% contained at least some MDMA or an analog (MDA, MDEA). Of the tablets containing other drugs, 21% had dextromethorphan. Other adulterants included caffeine, ephedrine, and pseudoephedrine. NSDUH reported a lifetime use rate in the US of 6.8% for people over the age of 12. The past 30-day use rate was just 0.3%. 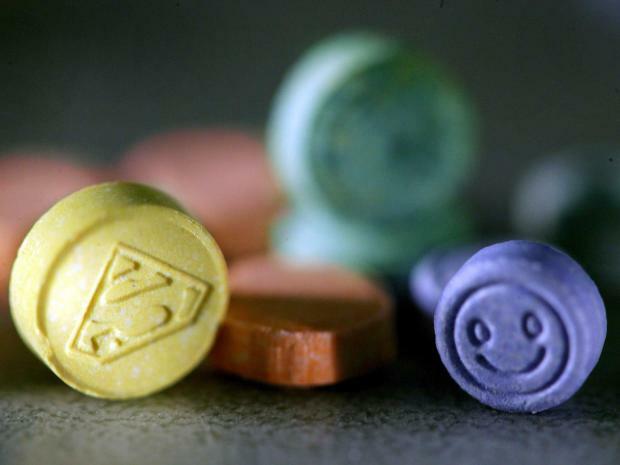 There were an estimated 800,000 first-time “ecstasy” users in the US. MDMA is sold in powder, crystal, capsule, and tablet form. The tablets in the market have hundreds of different designs. The composition can vary even within designs. There’s a higher rate of MDMA use among festival and nightclub attendees. (Palamar, 2016) found there was a lifetime use rate in New York of 42.8% for those who attended those events. 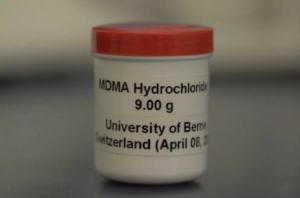 Depending on location and the exact time period, the MDMA market may primarily be problematic due to adulterants or because of high-dose MDMA products. 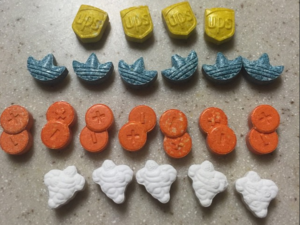 Organizations like DanceSafe, Bunk Police, EcstasyData, and Energy Control are trying to reduce the harms associated with the drug and the MDMA market. It’s a controlled substance in most countries. MDMA can be acutely dangerous and it may also pose health risks with chronic use. Most of the issues associated with the drug can be avoided or greatly attenuated. If an otherwise healthy person takes a common dose of MDMA in a calm environment (low activity, moderate temperature), there’s very little risk of an acute safety issue. To reduce the harms that can exist, organizations like DanceSafe, Bunk Police, EcstasyData, and Energy Control have tried to spread information and spread drug checking. The latter is particularly important given how common adulterants are in the MDMA market. You should never take the drug without testing it first. Reagent liquids should be used at a minimum. The core harm reduction measures beyond drug checking include administering electrolytes (mainly sodium), taking anti-neurotoxic supplements, taking breaks, keeping your temperature down, using a reasonable dose, and consuming a moderate amount of water. Frequent use should be avoided. Try to avoid using MDMA more than every 3 months. Though there were some delayed deaths at 20 mg/kg. Death of one dog at 18 mg/kg with oral dosing, but chronic oral treatment with 15 mg/kg in others didn’t yield any deaths. Estimated to be 10-20 mg/kg based on the animal data. You can read more about MDMA’s potential neurotoxicity with heavy and chronic use here. Acute safety issues and fatalities are possible, though the latter are quite rare. Nearly all of the severe responses involve a combination of the drug (often a strong+ dose) and environmental/behavioral conditions (high water consumption, high activity, high ambient temperature). Some of the less severe symptoms of an overdose are: agitation, headache, disorientation, tachycardia, hypertension, and sweating. MDMA can lead to more problematic symptoms, including: loss of consciousness, hyperthermia, disseminated intravascular coagulation, rhabdomyolysis, brain edema, hyponatremia, and renal failure. There are brain, cardiovascular, liver, and kidney toxicity concerns. Fatalities tend to occur in connection with hyperthermia, hyponatremia, and/or cardiovascular issues. MDMA can increase body temperature even in controlled settings, but it basically never surpasses low-level hyperthermia (38°C or 100.4°F). Severe hyperthermia has been seen in many case reports and it can contribute to severe toxicity, including issues like disseminated intravascular coagulation. In humans, the drug is known to increase metabolic activity and oxygen consumption. It could affect heat dissipation, as seen with a delay in the initiation of sweating. People may feel like they can tolerate higher body temperatures and higher ambient temperatures while on the drug, contributing to heatstroke. MDMA itself can lower your serum sodium level. When this effect is combined with high levels of water administration in the absence of electrolytes, hyponatremia (notably low serum sodium) can easily develop. Hyponatremia is of little concern with common doses in low-activity settings. Some of the key factors in its development are higher doses, vigorous exercise, excessive water use, and low electrolyte replacement. Hyponatremia can be asymptomatic initially or include symptoms like headache, nausea, vomiting, muscle cramps, aches, and mental status changes. It can progress to lethal cerebral edema, seizures, and coma. MDMA’s triggering of hyponatremia is believed to come from syndrome of inappropriate antidiuretic hormone secretion (SIADH) and increased hypotonic fluid intake. Although drinking water is a good idea, you don’t need very high amounts. Around 500 mL per hour is fine. You can also use isotonic drinks (in place of regular water) or sodium supplements (along with regular water). The roles of SIADH and fluid intake still aren’t entirely clear. SIADH involves the secretion of vasopressin (ADH) despite normal circulating blood volume, leading to plasma hyponatremia and hypoosmolality along with impaired free water excretion. Vasopressin can lead to the retention of water by the kidneys. Vasopressin release may come from MDMA and some of its metabolites. Another possible factor is impaired gastrointestinal tract motility, which could be reduced at the end of someone’s activity. This hypothetical mechanism could lead to high hypotonic fluid intake from a bolus of water in the GI tract, quickly diluting the sodium level. Females may be at an even greater risk of hyponatremia-related complications. This could be from estrogen’s inhibitory effects on brain Na+/K+-ATPase, which raises the risk of cerebral edema. Estrogen impairs brain cell volume regulation through that inhibition since the pumps remove sodium from astrocytes. Acute kidney injury (AKI) has been associated with MDMA use, sometimes coming from nontraumatic rhabdomyolysis. The first case of AKI was reported in 1992. The patient took three doses at a rave and then appeared to have rhabdomyolysis and seizures. There could also be a direct toxic effect on myocytes. (Baggott, 2001) reported hepatotoxicity was present in 16% of 199 hospital cases involving MDMA use, making it the 3rd most common SAE. In clinical trials, there have been no liver-related issues. Hepatotoxicity is often found alongside hyperthermia, indicating a possible connection. Some of the toxicity may arise from an immunological response. In vitro studies have shown impairment of cell viability and an increase in profibrogenic activity in cultured stellate cells. However, the liver’s exposure to MDMA would be much lower in real-world in vivo settings than the dose utilized in the in vitro tests. Heart rate and blood pressure increases are common even in controlled settings, but they’re typically moderate and tolerable. Occasionally someone will end up with a hypertensive state with a common dose and calm setting, but it’s not a typical response. If you have a preexisting vulnerability, however, you should avoid the drug. The cardiovascular effects are more concerning with high activity levels and high doses. It can raise the chance of acute myocardial infarction, aortic dissection, and cerebral hemorrhage. A portion of users report negative effects on the following day. Those tend to last no more than 3 days, but occasionally people report negatives persisting for 3-7 days. Depending on various factors, the after effects could be moderately negative, barely noticeable, absent, or even somewhat pleasant. Higher doses, sleep deprivation, unideal general health, and high activity levels all likely contribute to worse after effect periods. The common symptoms include: brain fog, irritability, depression, and insomnia. These symptoms may come from serotonin depletion and a drop in tryptophan hydroxylase activity. Half of the users had new feelings of fatigue, muscle ache, and headache at 24 hours. Up to 1/3 reported being slightly depressed with emotional irritability, lack of energy, brooding, and bad dreams. Only a few people had negatives lasting up to 3 days. Females appeared to be more susceptible. (Blagrove, 2010) – Memory tests in people who used MDMA/ecstasy 2-3 days pre-test vs. those with 8+ days of abstinence vs. controls. Recent ecstasy/MDMA users scored significantly worse than controls for recall on the rivermead behavioral memory test (RBMT). However, the significance disappeared when excluding individuals who took other illicit drugs 24-48 hours before the test. Perhaps this is due to cannabis having been the most popular other drug in the time period. Recency of taking the drug was significantly associated with mean RBMT score. Abstinent ecstasy/MDMA users didn’t show declarative memory deficits. Procedural memory performance of recent and abstinent users didn’t differ from controls. Leading to 16 people who would take ecstasy vs. 16 who wouldn’t. All had a long history of ecstasy use. No participant used the drug for at least 6 days pre-study. Day 1, 24 hours later (either after abstinence or MDMA use), and then 3 days from the start. Analysis of samples confirmed accurate reporting of MDMA use or abstinence. The negative mood scores weren’t significant different by the 3 days later test. There was no BDI score difference on second test between groups–though the usefulness of BDI in this setting is arguable. Ecstasy users reported sleeping significantly less sleep following their use. After controlling for sleep quality, ecstasy users didn’t have impairment on working memory, immediate or delayed recall, or decision-making performance. Testing on Day 1, Day 2, and Day 5. Use of MDMA wasn’t confirmed. These differences were found across the 5 days. MDMA users had elevated mood on Day 1, with progressively lower scores on following days. Whereas alcohol users had lowest point on Day 2 (acute hangover) and rebounding from there. On Day 2, both groups were broadly similar in negative ratings, implying the day after effects of MDMA (including lack of sleep) aren’t totally dissimilar from an acute alcohol hangover. Difference being that MDMA’s effect persists longer into the week, presumably from subacute serotonin depletion and other factors. Other stimulants, MAOIs, 5-HTP, tramadol, and DXM. (Armenian, 2012) – Case series that includes some fatalities. 12 MDMA-affected patients presented to San Francisco General Hospital. Age: 19 – 35 years old. Common symptoms: hyperthermia, tachycardia, metabolic acidosis, acute kidney injury, and generalized tonic-clonic seizures. 5/12 required dialysis for acute renal failure, acidosis, and hyperkalemia. 2 died and 4 had lasting negative effects. Trend towards higher temperatures and potassium levels in those with severe morbidity. Arrived via ambulance while seizing, which had been going on for 30 minutes. Paramedics gave midazolam 4 mg with no effect. Another midazolam 4 mg also didn’t stop seizure activity. Intubated with etomidate and rocuronium. After 2.5 hours, also given dantrolene 175 mg. Evidence of disseminated intravascular coagulation: bleeding from mouth, orogastric tube, scalp laceration, and central line site. Took 2 ecstasy pills at unknown time at rave, becoming unresponsive on the way home. Apneic, rigid with clamped teeth, and a weak pulse of 20 bpm. Increased cerebral edema with obliteration of the gray/white matter interface and narrowing of the lateral ventricles. Died shortly thereafter, from terminal anoxic encephalopathy and acute MDMA intoxication. Patient 6 had severe cognitive deficits at 5 months with persistent illness neuropathy manifested by leg weakness. In all three, MDMA was the only compound isolated at therapeutic or supretherapeutic concentrations. 5 tablets taken at party, then became rigid and shaking, found collapsed. Found collapsed in street after a party, was a hemophiliac. Presented with seizures, increased muscle tone, 40°C temp, 125 HR, BP of 81/40, DIC, rhabdomyolysis, and ARF. Presented with seizures, sweating, 43°C temp, 180 HR, hypotension, DIC, rhabdomyolysis, and ARF. 4 people seemingly died from a combo of MDMA and moclobemide, an MAOA inhibitor. Next morning in friend’s apartment, she suddenly became confused, began to convulse, lost consciousness, and stopped breathing. Urine positive for amphetamines, but negative for opiates, cocaine, and cannabis. Had been in a confused state and possessed two separate types of white tablets marked either with “666” or an eccentric star. Urine positive for amphetamines and opiates, but negative for cocaine and cannabis. Hair sample positive for MDMA and amphetamines, but not for opiates or cannabis. 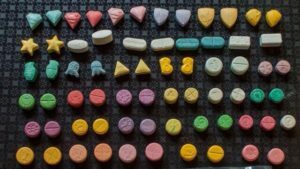 Analysis of tablets showed both exclusively had MDMA. 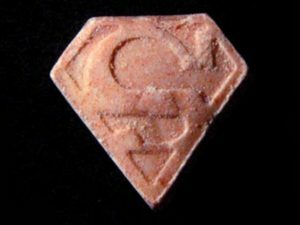 Considered the death to be MDMA/moclobemide, with DXM as a contributing factor. Suddenly became confused at friend’s apartment and started to roll on the floor, after which he collapsed. Also a medicine pack of moclobemide 300 mg tablets, prescribed for the friend. Urine positive for amphetamines and cannabinoids, but negative for opiates and cocaine. He was unconscious and had breathing difficulties. (2017) Potential Psychiatric Uses for MDMA. (2017) Self-Reported Ecstasy/MDMA/”Molly” Use in a Sample of Nightclub and Dance Festival Attendees in New York City. (2017) Pharmacogenetics of ecstasy: CYP1A2, CYP2C19, and CYP2B6 polymorphisms moderate pharmacokinetics of MDMA in healthy subjects. (2016) Crystals and tablets in the Spanish ecstasy market 2000-2014: Are they the same or different in terms of purity and adulteration? (2016) Effects of 3,4-Methylenedioxymethamphetamine on Patient Utterances in a Psychotherapeutic Setting. (2016) Can 3,4,-methylenedioxymethamphetamine therapy be used to treat alcohol use disorder? (2016) The effects of ecstasy on neurotransmitter systems: a review on the findings of molecular imaging studies. (2016) Treating posttraumatic stress disorder with MDMA-assisted psychotherapy: A preliminary meta-analysis and comparison to prolonged exposure therapy. (2016) MDMA-assisted therapy: A new treatment model for social anxiety in autistic adults. (2016) Effects of 3,4-methylenedioxymethamphetamine on socioemotional feelings, authenticity, and autobiographical disclosure in healthy volunteers in a controlled setting. (2015) The Effects of Acutely Administered 3,4-Methylenedioxymethamphetamine on Spontaneous Brain Function in Healthy Volunteers Measured with Arterial Spin Labeling and Blood Oxygen Level-Dependent Resting State Functional Connectivity. (2015) Human pharmacology of 3,4-methylenedioxymethamphetamine (MDMA, ecstasy) after repeated doses taken 4 h apart Human pharmacology of MDMA after repeated doses taken 4 h apart. (2015) 3,4-Methylenedioxymethamphetamine facilitates fear extinction learning. (2015) The Psychopharmacology of ±3,4 Methylenedioxymethamphetamine and its Role in the Treatment of Posttraumatic Stress Disorder. (2015) Interactions between bupropion and 3,4-methylenedioxymethamphetamine in healthy subjects. 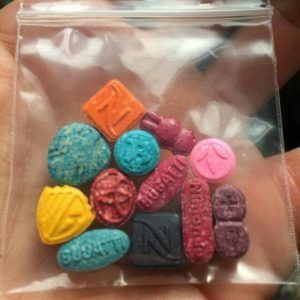 (2014) MDMA and the “ecstasy paradigm”. (2014) MDMA, cortisol, and heightened stress in recreational ecstasy users. (2014) 3,4-Methylenedioxymethamphetamine’s (MDMA’s) Impact on Posttraumatic Stress Disorder. (2014) Acute effects of 3,4-methylenedioxymethamphetamine and methylphenidate on circulating steroid levels in healthy subjects. (2014) MDMA enhances emotional empathy and prosocial behavior. (2014) History and future of the Multidisciplinary Association for Psychedelic Studies (MAPS). (2013) Can MDMA play a role in the treatment of substance abuse? (2013) Human pharmacology of 3,4-methylenedioxymethamphetamine (MDMA, ecstasy) after repeated doses taken 2 h apart. (2013) A randomized, controlled pilot study of MDMA (± 3,4-Methylenedioxymethamphetamine)-assisted psychotherapy for treatment of resistant, chronic Post-Traumatic Stress Disorder (PTSD). (2013) Acute myocardial infarction in pregnancy following unlicensed use of methylenedioxymethamphetamine (‘Ecstasy’). (2013) Protective effects of N-acetylcysteine on 3, 4-methylenedioxymethamphetamine-induced neurotoxicity in male Sprague-Dawley rats. (2013) MDMA-Assisted Psychotherapy: How Different is it from Other Psychotherapy? (2013) MDMA can increase cortisol levels by 800% in dance clubbers. (2013) MDMA increases glutamate release and reduces parvalbumin-positive GABAergic cells in the dorsal hippocampus of the rat: role of cyclooxygenase. (2013) Durability of improvement in post-traumatic stress disorder symptoms and absence of harmful effects or drug dependency after 3,4-methylenedioxymethamphetamine-assisted psychotherapy: a prospective long-term follow-up study. (2013) The varieties of ecstasy experience: a phenomenological ethnography. (2013) Multiple MDMA (Ecstasy) overdoses at a rave event: a case series. (2012) Evidence for chronically altered serotonin function in the cerebral cortex of female 3,4-methylenedioxymethamphetamine polydrug users. (2012) Ecstasy (MDMA)-induced hyponatraemia is associated with genetic variants in CYP2D6 and COMT. (2012) Caffeine provokes adverse interactions with 3,4-methylenedioxymethamphetamine (MDMA, ‘ecstasy’) and related psychostimulants: mechanisms and mediators. (2012) Pharmacokinetics and pharmacodynamics of 3,4-methylenedioxymethamphetamine (MDMA): interindividual differences due to polymorphisms and drug-drug interactions. (2012) Lost in translation: preclinical studies on 3,4-methylenedioxymethamphetamine provide information on mechanisms of action, but do not allow accurate prediction of adverse events in humans. (2012) Changes in CYP1A2 activity in humans after 3,4-methylenedioxymethamphetamine (MDMA, ecstasy) administration using caffeine as a probe drug. (2012) MDMA and temperature: a review of the thermal effects of ‘Ecstasy’ in humans. (2012) Memantine attenuates 3,4-methylenedioxymethamphetamine-induced hyperthermia in rats. (2012) MDMA, methamphetamine, and CYP2D6 pharmacogenetics: what is clinically relevant? (2012) Pharmacological innovations for posttraumatic stress disorder and medication- enhanced psychotherapy. 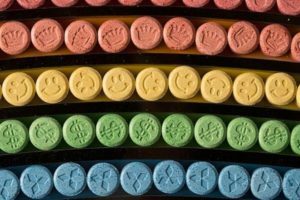 (2011) Should ecstasy be used therapeutically? (2011) A mechanistic insight into 3,4-methylenedioxymethamphetamine (“ecstasy”)-mediated hepatotoxicity. (2011) Increased oxidative-modifications of cytosolic proteins in 3,4-methylenedioxymethamphetamine (MDMA, ecstasy)-exposed rat liver. 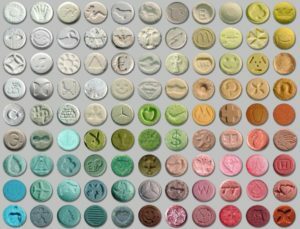 (2011) Variability in the 3,4-methylenedioxymethamphetamine content of ‘ecstasy’ tablets in the UK. (2011) Procedural and declarative memory task performance, and the memory consolidation function of sleep, in recent and abstinent ecstasy/MDMA users. (2010) Bruxism after 3,4-methylenedioxymethamphetamine (ecstasy) abuse. (2010) Metabolic interactions between ethanol and MDMA in primary cultured rat hepatocytes. (2010) Is ecstasy an “empathogen”? Effects of ±3,4-methylenedioxymethamphetamine on prosocial feelings and identification of emotional states in others. (2010) Rediscovering MDMA (ecstasy): the role of the American chemist Alexander T. Shulgin. (2010) Tolerance to 3,4-methylenedioxymethamphetamine is associated with impaired serotonin release. (2009) A fatal case of myocardial damage due to misuse of the “designer drug” MDMA. (2009) Methylenedioxymethamphetamine-related deaths in Taiwan: 2001-2008. (2009) Emerging treatments for PTSD. (2009) Mediating MDMA-related harm: preloading and post-loading among Ecstasy-using youth. (2009) Effects of MDMA on sociability and neural response to social threat and social reward. (2009) Methylenedioxymethamphetamine (MDMA)-related fatalities in Australia: demographics, circumstances, toxicology and major organ pathology. (2009) Neural and cardiac toxicities associated with 3,4-methylenedioxymethamphetamine (MDMA). (2009) Increased oxytocin concentrations and prosocial feelings in humans after ecstasy (3,4-methylenedioxymethamphetamine) administration. (2009) Brain serotonin transporter binding in former users of MDMA (‘ecstasy’). (2008) Plasma pharmacokinetics of 3,4-methylenedioxymethamphetamine after controlled oral administration to young adults. (2008) The agony of ecstasy: MDMA (3,4-methylenedioxymethamphetamine) and the kidney. (2008) Serotonin 5-HT2B receptors are required for 3,4-methylenedioxymethamphetamine-induced hyperlocomotion and 5-HT release in vivo and in vitro. (2008) Actions of 3,4-methylenedioxymethamphetamine (MDMA) on cerebral dopaminergic, serotonergic and cholinergic neurons. (2007) Possible association between 3,4-methylenedioxymethamphetamine abuse and valvular heart disease. (2007) An announced suicide with ecstasy. (2007) Neuropsychological function in ecstasy users: a study controlling for polydrug use. (2007) Ecstasy (MDMA) does not have long-term effects on aggressive interpretative bias: a study comparing current and ex-ecstasy users with polydrug and drug-naive controls. (2007) A role for oxytocin and 5-HT(1A) receptors in the prosocial effects of 3,4 methylenedioxymethamphetamine (“ecstasy”). (2007) The psychotherapeutic potential of MDMA (3,4-methylenedioxymethamphetamine): an evidence-based review. (2007) Does hyperthyroidism increase risk of death due to the ingestion of ecstasy? (2007) Pharmacological interaction between 3,4-methylenedioxymethamphetamine (ecstasy) and paroxetine: pharmacological effects and pharmacokinetics. (2006) Vasopressin and oxytocin secretion in response to the consumption of ecstasy in a clubbing population. (2006) Memory deficits in abstinent MDMA (ecstasy) users: neuropsychological evidence of frontal dysfunction. (2006) A review of acute effects of 3,4-methylenedioxymethamphetamine in healthy volunteers. (2006) Stimulant effects of 3,4-methylenedioxymethamphetamine (MDMA) 75 mg and methylphenidate 20 mg on actual driving during intoxication and withdrawal. (2006) Characteristics and trends of 3,4-methylenedioxymethamphetamine (MDMA) tablets found in Taiwan from 2002 to February 2005. (2006) Fatal hyponatremia in a young woman after ecstasy ingestion. (2006) The varieties of ecstatic experience: an exploration of the subjective experiences of ecstasy. (2006) Organic impurity profiling of 3,4-methylenedioxymethamphetamine (MDMA) tablets seized in The Netherlands. (2006) Influence of CYP2D6 polymorphism on 3,4-methylenedioxymethamphetamine (‘Ecstasy’) cytotoxicity. (2006) Acute effects of 3,4-methylenedioxymethamphetamine (MDMA) on behavioral measures of impulsivity: alone and in combination with alcohol. 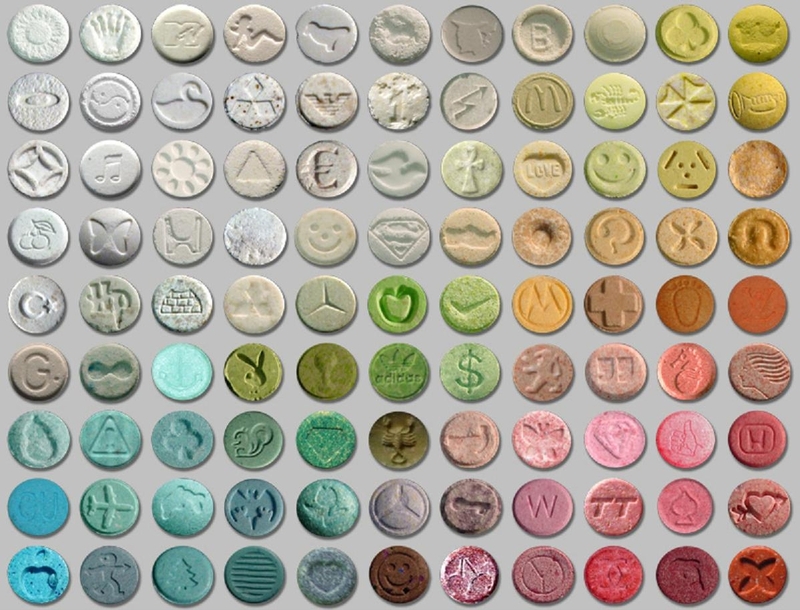 (2006) Pharmacological content of tablets sold as “ecstasy”: results from an online testing service. (2006) The origin of MDMA (ecstasy) revisited: the true story reconstructed from the original documents. (2005) Panic disorder due to ingestion of single dose ecstasy. (2005) Effect of ecstasy use on neuropsychological function: a study in Hong Kong. (2005) Chronic tolerance to recreational MDMA (3,4-methylenedioxymethamphetamine) or Ecstasy. 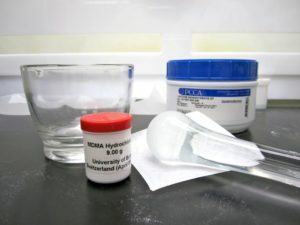 (2005) Carvedilol reverses hyperthermia and attenuates rhabdomyolysis induced by 3,4-methylenedioxymethamphetamine (MDMA, Ecstasy) in an animal model. (2005) Thermoregulatory effects of 3,4-methylenedioxymethamphetamine (MDMA) in humans. (2005) Serotonin (1A) receptor involvement in acute 3,4-methylenedioxymethamphetamine (MDMA) facilitation of social interaction in the rat. (2004) The toxicity of N-methyl-alpha-methyldopamine to freshly isolated rat hepatocytes is prevented by ascorbic acid and N-acetylcysteine. (2004) Hyperkalemia in fatal MDMA (‘ecstasy’) toxicity. (2003) Death following ingestion of MDMA (ecstasy) and moclobemide. (2003) DanceSafe and ecstasy: protection or promotion? (2003) Multiple toxicity from 3,4-methylenedioxymethamphetamine (“ecstasy”). (2003) Hypothalamic-pituitary-adrenal axis responses to stress in subjects with 3,4-methylenedioxy-methamphetamine (‘ecstasy’) use history: correlation with dopamine receptor sensitivity. (2003) The pharmacology and clinical pharmacology of 3,4-methylenedioxymethamphetamine (MDMA, “ecstasy”). 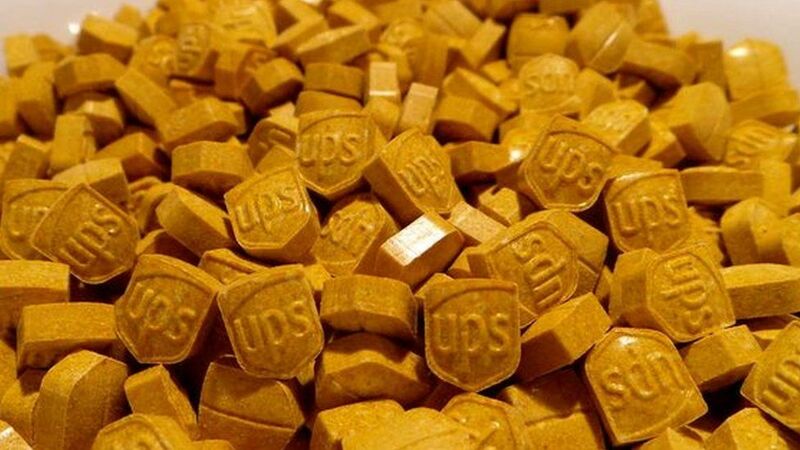 (2002) The content of ecstasy tablets: implications for the study of their long-term effects. (2002) CYP2D6 deficiency, a factor in ecstasy related deaths? (2002) MDMA misrepresentation: an unresolved problem for Ecstasy users. (2002) The pharmacology of the acute hyperthermic response that follows administration of 3,4-methylenedioxymethamphetamine (MDMA, ‘ecstasy’) to rats. (2002) Distribution study of 3,4-methylenedioxymethamphetamine and 3,4-methylenedioxyamphetamine in a fatal overdose. (2002) Ecstasy: America’s new “reefer madness”. (2002) Preventing problems in Ecstasy users: reduce use to reduce harm. (2002) Hyponatraemic states following 3,4-methylenedioxymethamphetamine (MDMA, ‘ecstasy’) ingestion. (2002) Effect of 3,4-methylenedioxymethamphetamine (“ecstasy”) on body temperature and liver antioxidant status in mice: influence of ambient temperature. (2000) Acute psychological effects of 3,4-methylenedioxymethamphetamine (MDMA, “Ecstasy”) are attenuated by the serotonin uptake inhibitor citalopram. (2000) Cardiovascular effects of 3,4-methylenedioxymethamphetamine. A double-blind, placebo-controlled trial. (2000) 3,4-Methylenedioxymethamphetamine (MDMA) modulates cortical and limbic brain activity as measured by [H(2)(15)O]-PET in healthy humans. (1999) Ecstasy (3,4-methylenedioxymethamphetamine): history, neurochemistry, and toxicology. (1999) Cardiovascular and neuroendocrine effects and pharmacokinetics of 3, 4-methylenedioxymethamphetamine in humans. (1998) Death by “ecstasy”: the serotonin syndrome? (1998) Survival after massive ecstasy overdose. (1998) The relationship between the degree of neurodegeneration of rat brain 5-HT nerve terminals and the dose and frequency of administration of MDMA (‘ecstasy’). (1997) Mood and cognitive effects of +/-3,4-methylenedioxymethamphetamine (MDMA, ‘ecstasy’): week-end ‘high’ followed by mid-week low. (1996) Distribution of 3,4-methylenedioxymethamphetamine (MDMA) and 3,4-methylenedioxyamphetamine (MDA) stereoisomers in a fatal poisoning. (1994) The demethylenation of methylenedioxymethamphetamine (“ecstasy”) by debrisoquine hydroxylase (CYP2D6). (1992) Ecstasy and the dance of death. (1988) “Ecstasy” and sudden cardiac death. (1986) Subjective reports of the effects of MDMA in a clinical setting.